I hope this finds you 3/4 of the way through the sweetest holiday season. Over here? We've eaten about a zillion Christmas cookies and we've cleaned up (most of) the wrapping paper. Now we're knee deep in the thick of my favorite season of the whole year - vision casting, planning, and praying over the next. I think somewhere along the way I must've gotten known as a planner. I'm ok with it. I'm a planner! I've had approximately 33 friends text/call/grab my arm as I'm walking by them at church to ask which planner is my favorite right now and what I suggest they use. 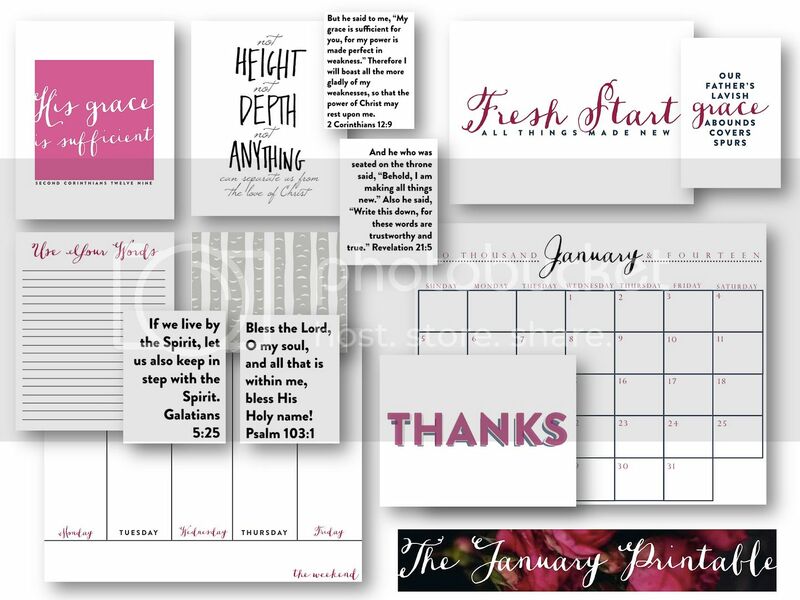 I'll definitely be using the items in our monthly printable download (January is now available! ), but here are a few other products I highly suggest. 1. Last year I used the Day Designer by Whitney English and absolutely loved it. I bought it in the spring so I still have a few months left in it and will definitely still be utilizing it. It's a beautiful and really-well made planner, but it's also includes some really thoughtful and helpful planning worksheets at the beginning that will help you vision cast for the year. 2. What I'm relying heavily on for planning in 2014 is my Powersheets by Lara Casey. I would recommend these for literally every single woman I know. When it was all said and done, I bought seven sets for other women this Christmas. I just think they're AMAZING. They're essentially worksheets and goal planning sheets that help you get to the core of what matters most to you and what you need to do to get where you want to go. 3. I haven't seen the Simplified Planner by Emily Ley in person yet, but I have met Emily Ley and that makes me want to suggest any product she puts out! I know she's an intentional and heart-driven wife and mom and I know her planner LOOKS amazing. Lastly, I would definitely suggest the office supply aisle at Target. I think there is something really wise about investing $35-$60 in some really well-made planning supplies like the ones listed above. It makes you really place value on what you're writing and it's investing in yourself so that you can be all the things you need to be to all your people throughout the year. But! There are definitely seasons where that just isn't doable. In that case, the Target office supply aisle is just as perfect. This year - I'm using a hybrid of some really cute notebooks & my PowerSheets and I'm really excited. I'll definitely be talking more about dreams, goals, and planning as the new year unfolds - but there they are! 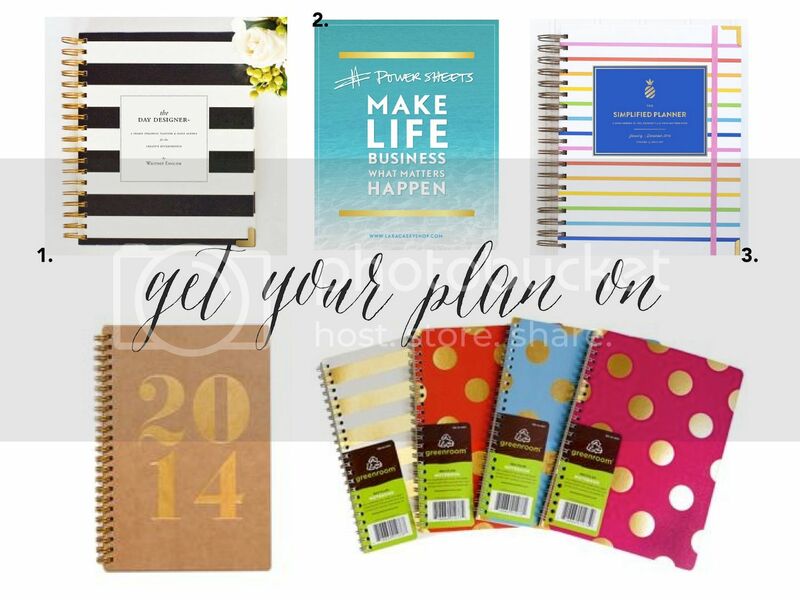 My top picks for planners. And of course, don't forget that the Naptime Diaries January printable bundle is out! It's $5 and has thirteen printables including a monthly calendar, weekly calendar, scripture memory cards, two notecards, two scripture prints, a note sheet, and a few more goodies! It will be available all month! Grab your noise makers and your fresh pens!